To let user collaborate with other team members over the details of a tests that are covered under a defined Test Execution. Here a platform is offered to the testers, assigners, administrators and other project members to do the Collaborative Analysis of tests. 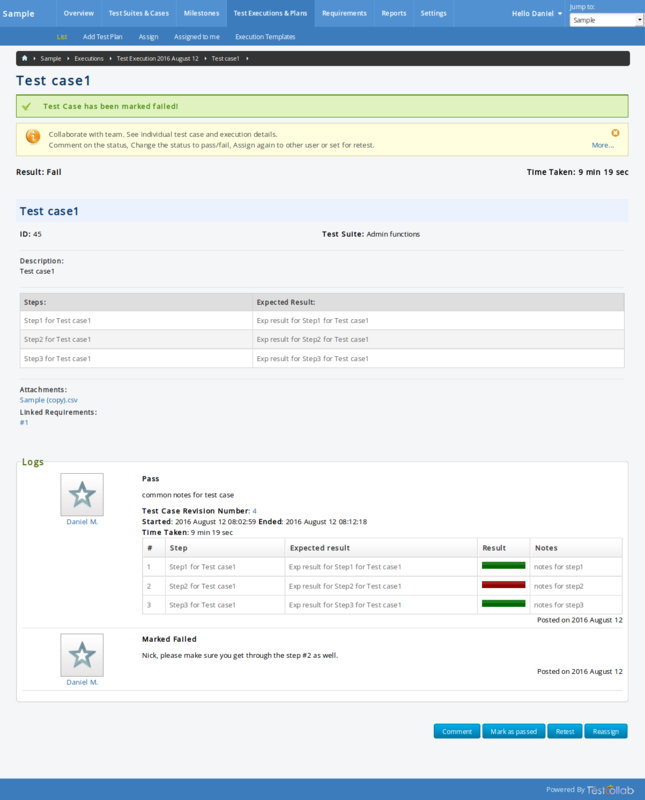 For this, user can either request to view details of a test case already covered under a Test Execution or he can perform the actions available on individual Test Execution view page. 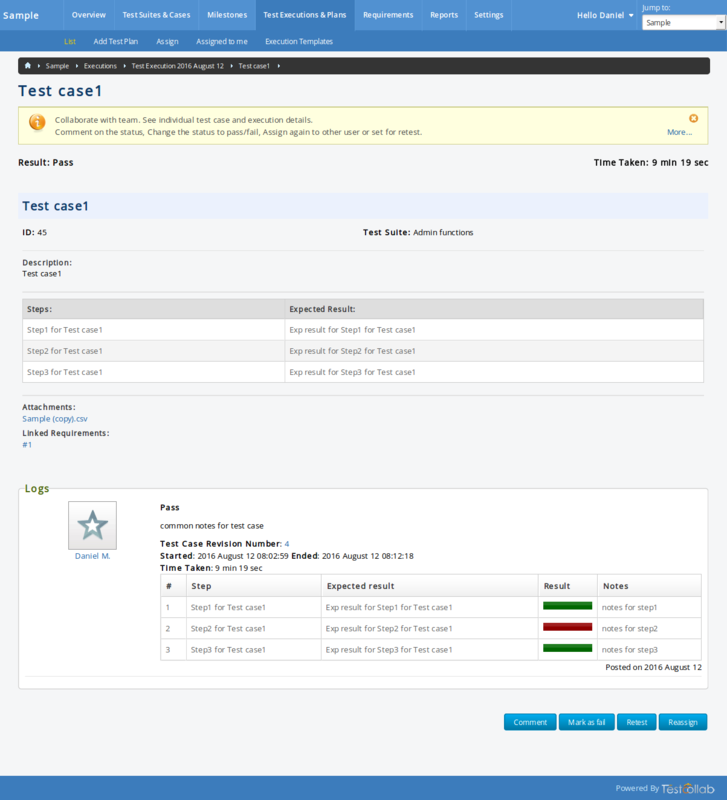 This is a screen where it would be possible to not only view the test case definition details but also the results and logs of activities for the test. 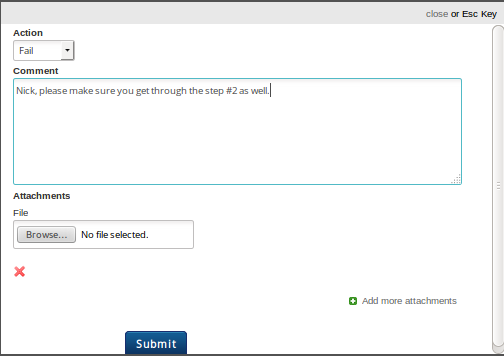 User also has the option to Comment, Mark the Test as Passed, or Failed, or simply Re-assign the test to someone else. In short the real team collaboration will be possible with this. With the introduction of test case revisioning feature, one can see the exact revision of the test case that was executed during a particular execution run. The revision number is shown next to test case name under the test case specific details section. When user clicks on revision number, then he can see the test case's status at the time of execution. 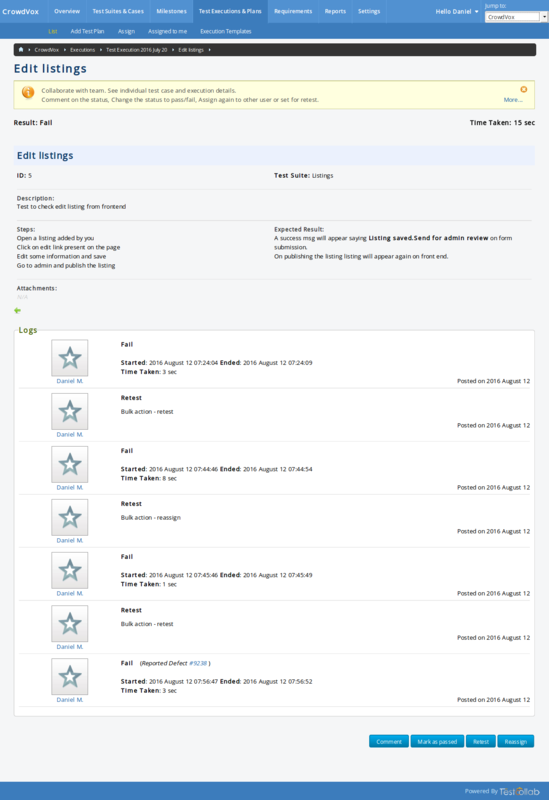 Also available are links to navigate to other peer tests under the selected Test Execution. If separate text fields for steps and expected results have been enabled for the project the execution case window will provide step wise execution results. On submitting the information pertaining to the action user has performed the log related to test case will be updated with the action the user has chosen along with his comments.